The Cardinals spent some pitching surplus to land a legitimate right fielder. Shelby Miller and Tyrell Jenkins are off to Atlanta for Jason Heyward and reliever Jordan Walden. If Heyward can hit like Heyward again -- and if he signs a contract extension to remain Cardinal Nation -- then this was a heck of a move. He is 25 years old and he has the potential to succeed Matt Holliday as a long-range lineup fixture. If he doesn't become an key long-term contributor, then this trade will become the inverse of the epic J.D. Drew/Adam Wainwright swap that helped vault the Cardinals into perennial contention. Miller has that sort of talent. He has delivered elite production at a young age and shown signs of maturing into something special. Sure, the Cardinals would receive a compensatory draft pick if Heyward exits as a free agent and becomes and one-and-done Cardinal. But what are the odds of the Cardinals landing a pitcher of Miller's caliber with that pick? Sure, the Cardinals can slide Marco Gonzales into the rotation next season and add a lefty presence. But with Adam Wainwright dealing with elbow issues and Michael Wacha facing the prospect of recurring shoulder trouble, moving Miller is a risk. Sure, the Cardinals have Randal Grichuk and Stephen Piscotty in development. One or both could replace Heyward if it comes to that, but there is no guarantee that Grichuk will ever hit for average at this level or that Piscotty will ever hit for power. Gaining Walden was a big plus, since he could step into the Pat Neshek void. This deal makes it easier to develop Carlos Martinez as a starter. 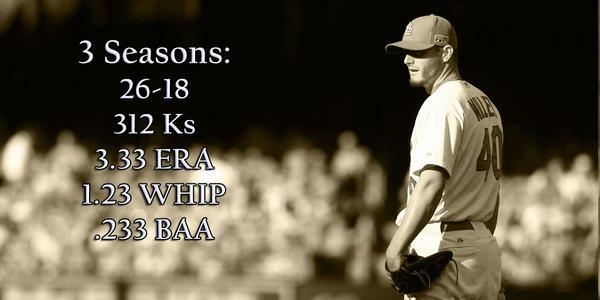 But the Cardinals could have addressed the bullpen in free agency without losing a key long-term asset. And Martinez has a long, long way to go to become a Shelby Miller. Parting with Jenkins was less problematic, give the organization's long-range pitching depth and Jenkins' extensive injury history. 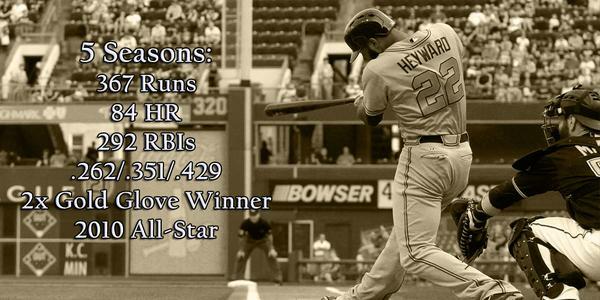 I hate to see Heyward go. I REALLY hate to see Hayward go. Heyward one year of control, Walden two for #STLCards. Miller four years of control, Jenkins six for #Braves. Lots of Braves fans upset about the Heyward deal, but it's worth remembering: They weren't going to pay him what he'd get in FA after 2015. Shelby Miller's career FIP is 4.03. It was 4.54 this year. And I don't want a guy that St. Louis is giving up on. That never ends well. Nice move by Mo': Showcase healthier Jenkins in AZ then let someone else to assume the risk. Braves used to be ones who shipped dinged SP's. At least the Heyward trade brings a thankful end locally to the perpetual hope stories re: Jenkins. High ceiling, high risk. #Brewers are not sad to see Shelby Miller exit the NL Central. He was 5-0 , 2.20 ERA vs. them in eight career starts. Smart move by the Cardinals to announce the Shelby Miller trade while teenage girls are in school. That’s just solid PR. The Cardinals got an outfielder from the Braves and it's not B.J. Upton? WHAT A STEAL!